As Canada enters its second month following the nationwide legalization of cannabis, Dr. James MacKillop, HRI Senior Scientist and Director of the Peter Boris Centre for Addictions Research and the Michael G. DeGroote Centre for Medicinal Cannabis Research, is encouraging Canadians to think critically about cannabis use. “Legalization has prompted an intense national discussion on cannabis, which is a very good thing”, says Dr. MacKillop. In a recent episode of the popular radio show and podcast, White Coat, Black Art, Dr. MacKillop and others answered some of Canada’s most pressing questions about the risks of cannabis, how it interacts with other substances, and the much-heated debate about cannabis as a healthier alternative to alcohol. MacKillop provided recommendations for parents when to talking to their kids about cannabis in an online feature for the Globe and Mail. In an October 16 Op-Ed in The Star, MacKillop and colleagues sought to debunk some of the most common myths related to cannabis use. The Hamilton Spectator recently featured Dr. MacKillop in an article shedding light on the gap between the perception of cannabis as a safer way to treat health conditions and the existing evidence to support these claims. On October 16, Dr. MacKillop appeared as a keynote speaker at the 2018 Canadian Institute for Military and Veteran Health Research (CIMVHR) Forum, where he discussed both the risks and benefits of cannabis, as well as emerging research on the use of cannabis for mental health indications. Dr. MacKillop also led a recent roundtable discussion exploring the impact, benefits and risks of cannabis, as well as opportunities to advance research. 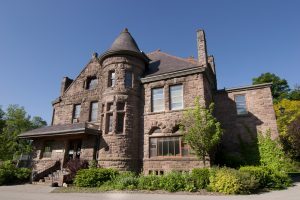 Hosted by the Michael G. DeGroote Centre for Medicinal Cannabis Research, the roundtable involved stakeholders from across the mental health and addiction research community. The bottom line: more research funding is needed to separate fact from fiction when it comes to cannabis use for both medical and recreational purposes. Dr. MacKillop is recognized as a leading national expert on cannabis. 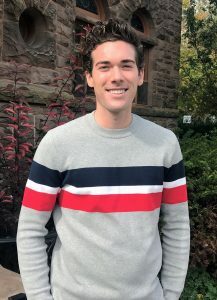 His research integrates perspectives from psychology, psychiatry, cognitive neuroscience, and behavioral genetics to improve our understanding of psychoactive drugs. Recently, Dr. MacKillop was awarded the 2018 Anne and Neil McArthur Research Award from St. Joseph’s Healthcare. 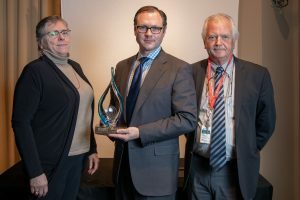 This award is presented to an internationally recognized researcher whose field of study is also a focus of research at St. Joseph’s Healthcare. Congratulations, Dr. MacKillop, on this much-deserved honour. Would you like to receive HRI’s latest news about cannabis research? This entry was posted on November 9, 2018 by Heather Froome. Military members and veterans are among those most vulnerable to post-traumatic stress disorder (PTSD). There is an urgent need to identify new and innovative treatments that will help military members suffering from trauma-related illnesses. The Canadian Institute for Military and Veteran Health Research (CIMVHR) hosts an annual forum, bringing together thought leaders from the government, research institutions, industry and philanthropic sectors. A major goal of the forum is to understand how new research findings can be used to help military personnel, veterans and their families. Here are some highlights outlining HRI’s contributions to this year’s forum. HRI has been bringing leaders together to identify research needs that will have the greatest benefit for people with PTSD. 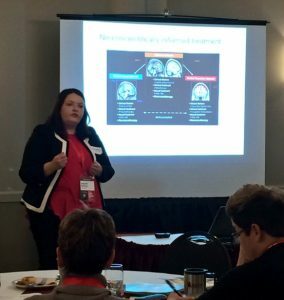 On October 16, Dr. Margaret McKinnon, Homewood Chair in Mental Health and Trauma, led an interactive workshop, building on a collaborative planning exercise that took place at the 2014 CIMVHR forum. The workshop invited input to establish research priorities for the next four years. The session attracted a broad range of stakeholders, including individuals with PTSD, scientists, clinicians, military members, public safety professionals, and first responders. Dr. McKinnon and Dr. Ruth Lanius shared findings from research conducted since 2014, and facilitated discussions to shape the next phase of the HRI research program. The session also set the stage for partnering with other organizations, including the Canadian Institute for Public Safety Research and Treatment (CIPSRT), which uses research to improve treatment in first responders. Dr. James MacKillop, HRI Senior Scientist and Director of the Peter Boris Centre for Addictions Research and the Michael G. DeGroote Centre for Medicinal Cannabis Research appeared as a keynote speaker at this year’s CIMVHR Forum, sharing insights from the latest medical research on cannabis a mere 15 hours before its legalization. “While there is relatively consistent evidence supporting cannabis as an approach to pain management, that doesn’t mean cannabis use comes without risk,” says Dr. MacKillop. Overconsumption, which can cause delirium and psychosis. Dr. MacKillop also reminded attendees that – contrary to popular belief – cannabis is addictive. Dr. MacKillop is a leading authority on cannabis and has been in the media spotlight recently. Click to read more about his contributions to national discussions about the legalization of cannabis. 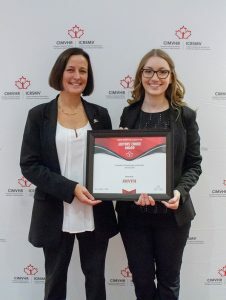 We are pleased to announce that HRI Research Trainee, Alina Protopopescu, was the recipient of the 2018 Editor’s Choice Award at this year’s CIMVHR Forum. Alina, a PhD Candidate in the Research and Clinical Training Stream in the Psychology, Neuroscience and Behaviour Program at McMaster University, received the award for her presentation of recent findings that examined the relationship between childhood abuse and moral injury. A moral injury may occur when a person is forced by circumstances to act in a way that violates his or her moral standards. For example, consider the soldier who may have no choice but to harm innocent people while stopping a major terrorist assault. In the presentation, Alina shared results from a study conducted in collaboration with Anthony Battaglia, which suggested that military personnel and veterans who experience childhood emotional abuse may be at risk for developing a moral injury during their service. The findings provide clues as to how we can better treat moral injury, particularly in populations like military members and veterans. Congratulations, Alina, on your award! Would you like to receive future updates about what we’re doing to improve military and veteran mental health? An HRI Research Trainee is using neuroimaging and machine learning to discover how post-traumatic stress disorder (PTSD) is related to patterns of brain activity, and the findings could have important implications for both diagnostic and preventative medicine. Dr. Andrew Nicholson is a post-doctoral fellow affiliated with Western University, McMaster University and Lawson Health Research Institute. His postdoctoral fellowship is funded jointly by Mitacs Elevate and HRI, and his research focuses on the use of neuroimaging techniques to advance healthcare. In a recent publication co-authored by HRI Associate Clinical Scientist, Dr. Ruth Lanius, and Homewood Research Chair in Mental Health and Trauma, Dr. Margaret McKinnon, Dr. Nicholson reported findings that suggest technological advances may enable early diagnosis of PTSD and its clinical subtypes. Machine learning multivariate pattern analysis predicts classification of posttraumatic stress disorder and its dissociative subtype: a multimodal neuroimaging approach was published last month in Psychological Medicine. The dissociative subtype of PTSD is characterized by symptoms of detachment and emotional numbness. It is different from the more familiar type of PTSD, which often results in difficulty controlling strong emotions and outbursts. Nicholson’s study found that when patterns of brain activation were fed into a machine learning algorithm, the computer system predicted the classification of PTSD, PTSD + DS ,and healthy controls in new subjects with 91.63% accuracy. 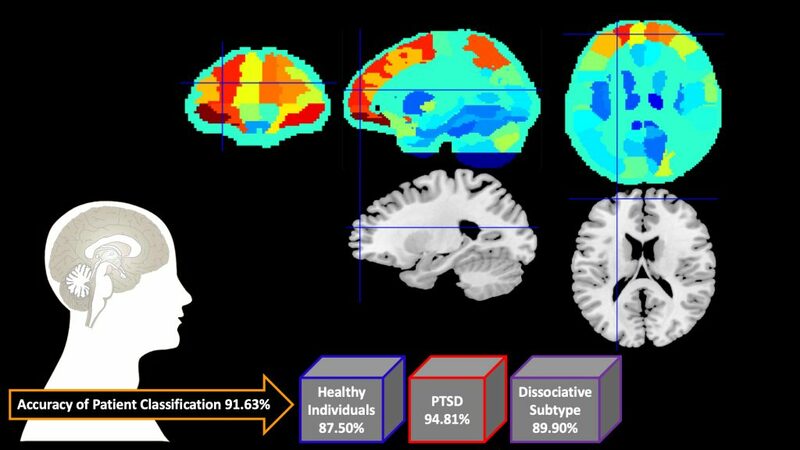 Functional MRI images from Dr. Nicholson’s study show patterns of brain activity that are used to detect and classify a PTSD diagnosis. How can these findings advance healthcare? Dr. Nicholson’s findings suggest that distinct patterns of brain activity are associated with specific forms of PTSD. These brain activity patterns are considered unique biomarkers that may aid in the early diagnosis and intervention of PTSD and its subtypes. Nicholson’s findings may also help people with PTSD understand that there is a physical basis for their disorder. New technologies can help us understand how symptoms of mental illness are related to brain activity. They enable the potential for detecting diagnoses that may not have been previously suspected or considered, and they facilitate expedient and objective diagnoses, opening the door to more individualized treatment approaches. Dr. Nicholson’s work is unearthing valuable neurobiological clues about how to classify and better treat mental illness. 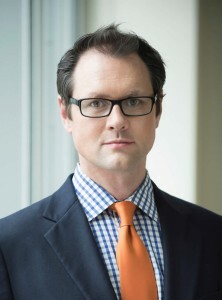 To follow his research, visit drandrewnicholson.com. Would you like to receive future updates about Dr. Nicholson’s research? The holiday season is the perfect time to become a champion and help people struggling with mental illness and addiction. Janice worked at Homewood Health Centre for 30 years. As Director of Operations, she collaborated with HRI on a number of research initiatives to improve patient care. We are grateful to Janice for her support and are honoured that she has agreed to serve as our 2018 Campaign Chair. We welcome you — our community, partners, friends and followers — to learn about studies currently underway on HRI Research Day 2018. Speak directly with our scientists and research trainees to find out how HRI is helping to fill critical gaps in Canada’s mental health and addiction systems. We are pleased to announce a new scholarship to support students entering the field of mental health and addiction research. The Darlene Walton Scholarship Fund honours the legacy of a dear friend to HRI. For 38 years, Darlene worked at Homewood Health Centre, giving her best each day to help patients recover. 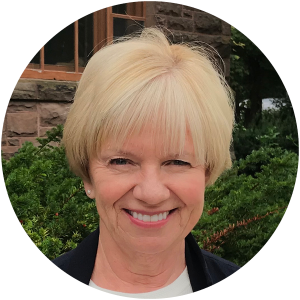 An avid supporter of HRI, she recognized the importance of training the next generation of researchers to improve care in Canada. 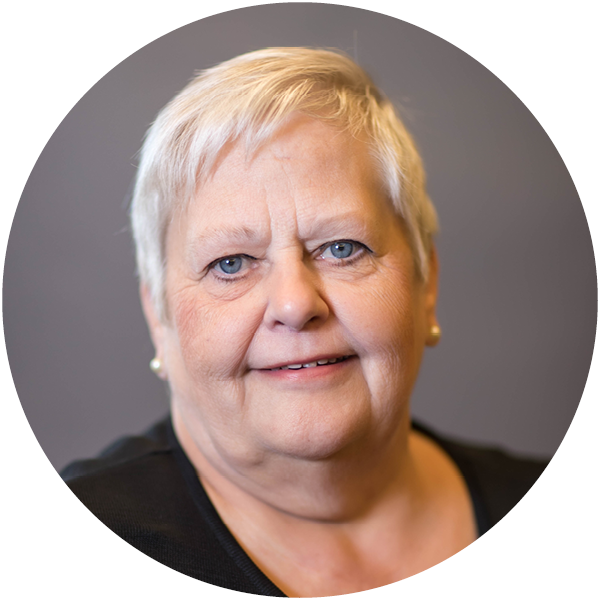 Sadly, Darlene passed away in June of 2018. You can support Darlene’s vision of a brighter future by directing your donation to the Darlene Walton Scholarship Fund when you make a donation online today. Would you like to receive future updates from HRI? This entry was posted on November 8, 2018 by Heather Froome.